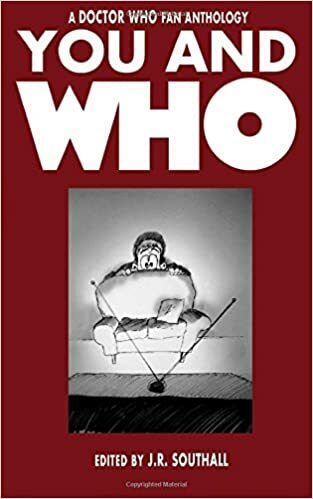 I was honoured to have a short essay included in this wonderful book about how Doctor Who has affected fans’ lives. My essay talked about how quotable the TV programme was (and continues to be). The first edition came out, I believe, in 2011. It has now, in 2015, been reprinted as a second edition (shown above). Proceeds still go to the charity Children in Need. The book did well enough for J. R. to put together a two-volume sequel, Contact Has Been Made, to which I also contributed (to both volumes). This two-volume sequel has now been reprinted both as the original two volumes and as a “bumper” all-in-one edition. Please click here to buy a copy on Amazon. Contributors: Too many to note in detail; however, Dez Skinn of Marvel UK fame wrote an essay. Christopher Bryant, long-time writer about Doctor Who, also contributed – he went on to edit the second volume of the two-volume follow-up, Contact Has Been Made.